The Humboldt County Sheriff's Office, in conjunction with the Arcata Police Department, arrested two juveniles on Monday, Oct. 16 in connection with the homicide of Richard Falk. The Journal has reached out to the sheriff's office to confirm whether or not the juveniles, one male, one female, were related to Falk, and will update when we have more information. The Humboldt County Sheriff’s Office has identified the 68-year-old man found dead in the front yard of his Buck Mountain home as Richard Dennis Falk and is officially investigating the case as a homicide. An autopsy performed on Falk determined he died of multiple gunshot wounds. Sheriff’s Lt. Mike Fridley said there are no indications that the killing was a robbery or burglary gone wrong and said there are multiple persons of interest in the case. He declined to offer any further details, saying the investigation is still in its infancy. The sheriff’s office asks anyone with information about the case to call 445-7251. The full press release is copied below our original post. Humboldt County Sheriff’s Office investigators are currently at the scene of a possible homicide in Dinsmore where a 68-year-old man was discovered dead at his residence in the Buck Mountain area. The man, whose identity has not been released, was found in his yard, according to the sheriff’s office. Few other details were immediately available, but the sheriff’s office states that the death has been “deemed suspicious” and is being investigated as a homicide. 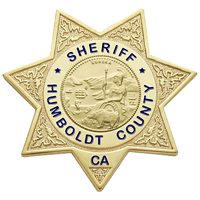 On Friday October 6th just after midnight the Humboldt County Sheriff’s Office received information that a 68 year old male was found deceased at his residence in the Buck Mountain area of Dinsmore. 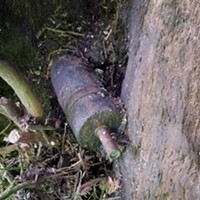 The decedent was found in the yard area of the residence. The death is deemed suspicious and is being investigated as a possible homicide. Members of the Humboldt County Sheriff’s Office and Coroner’s Office are currently on scene at this time conducting the investigation. If anyone has information in regards to this possible crime, please contact Sheriff’s Detective Hicks at (707) 445-7251. 10-06-17 at about 1230 am deputies were dispatched to the report of a possible homicide in the Buck Mountain area. Upon arrival they located 68 year old victim Richard Dennis Falk deceased outside his residence. An autopsy was performed today which concluded that Falk had died of gunshot wounds. This case is currently under investigation and anyone with information is asked to contact the Sheriff’s Office at 707-445-7251.